Utthan, A CSR initiative of ITS, Mohan Nagar, Ghaziabad Organized Creative Brains and MS Paint learning session for the students on 28th December, 2018. In the first session of the activity, Students were taken to Computer Lab 5 and Lab 7 to learn working on MS Paint. In computer labs participants were taught about the basic use of MS Paint by the Student Volunteers of ITS College. In this session they learned the use of new file, different kinds of lines, how to fill colors, Use of Text Box, Word Art and inserting shapes in paint sheet. After that, they were taken back to the Seminar Hall and presented their views on what they have learned. Second Session of the event included activity using waste newspapers. Students showed their creativity by making different 3D models using waste materials without using any other resources. In this students were guided to prepare models focusing on “Green India, Clean India” theme. Students prepared dustbins, house surrounded by trees, model showing industrial waste and benefits from green environment etc. After this they were asked to present their models with explanation on the use and why they have made that particular model. Based on their explanation and its creativity students teams were awarded with fabulous prizes. They were assessed on their presence of mind, creativity and innovations. Director Management, Dr. Ajay Kumar felicitated the event by distributing Prizes to all the winners of the activity. All the students were given refreshment at the end of the session. Faculty Coordinators of Utthan Activity were Dr. Nitin Saxena and Prof. Shilpi Vaish. 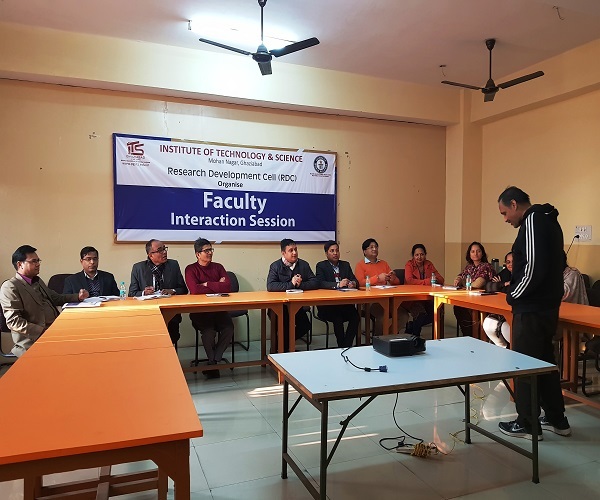 Department of Management organized session by Prof. Santosh Sood, in which he spoke about research and the confusion a researcher feels in interpreting research outcomes.He shared his experience regarding three research cases. 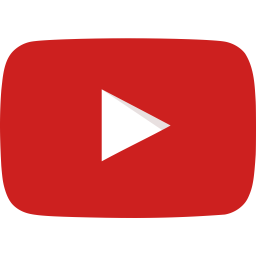 First was pertaining to a charity organisation, as one of his clients. The survey had three major questions enquired from general public. 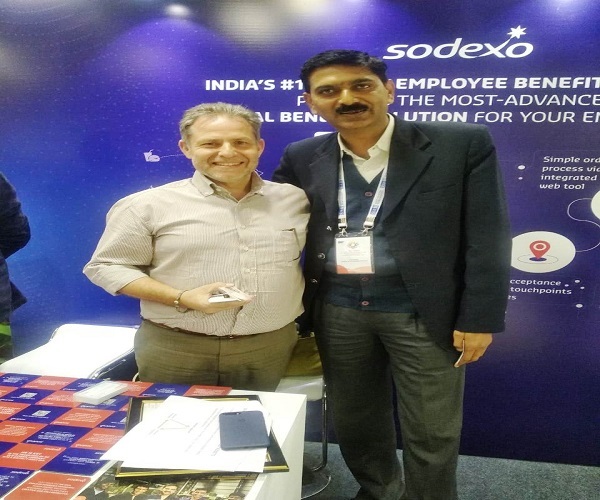 The first question was regarding the organization- Foreign or Indian, where they would love sharing money for the charity work and they could identify honesty of dealings highly significant. The second question was regarding the transparency (or nothing declared- opaque) in charity work operation. The third question was regarding their preference for an Indian or Multinational Charity organisation, which have their total charity work in India.The research outcomes of these three research questions were highly astonishing. The faculty members discussed the reasons for these strange research findings. The second case discussed was regarding the acceptance of LG Electronics (Golden Eye TV) in Indian market. Here again the research findings were highly astonishing. The third case was regarding an automobile engine efficiency fluid, Nulon (Teflon). Prof. Santosh Sood brought out various USP’s of this liquid additive. The research findings again had turned done the acceptance of this new product by the end consumers. The discussion was very interesting and enriching, which had triggered the thought process regarding variety of research projects. Session ended with question and answer round. Utthan, A CSR initiative of I.T.S - Mohan Nagar, Ghaziabad organized "Creative Brains" and MS Paint learning session for the students on 28th December, 2018. During the first session, Students were taken to Computer labs to learn basic use of MS Paint and its other features by the Student Volunteers of ITS College. After that, they were taken back to the Seminar Hall to present their views based on their learning. Second Session of the event included activity using waste newspapers. Students showed their creativity by making different 3d models using waste materials on the theme “Green India, Clean India” in the ground. Students prepared dustbins, houses, usable items, etc. and were asked to present their models with explanation. Dr Ajay Kumar, Director (Management) felicitated the students with prizes based on their explanation and creativity. Dr Nitin Saxena and Prof Shilpi Vaish, (Management department) coordinated the event along with student volunteers. 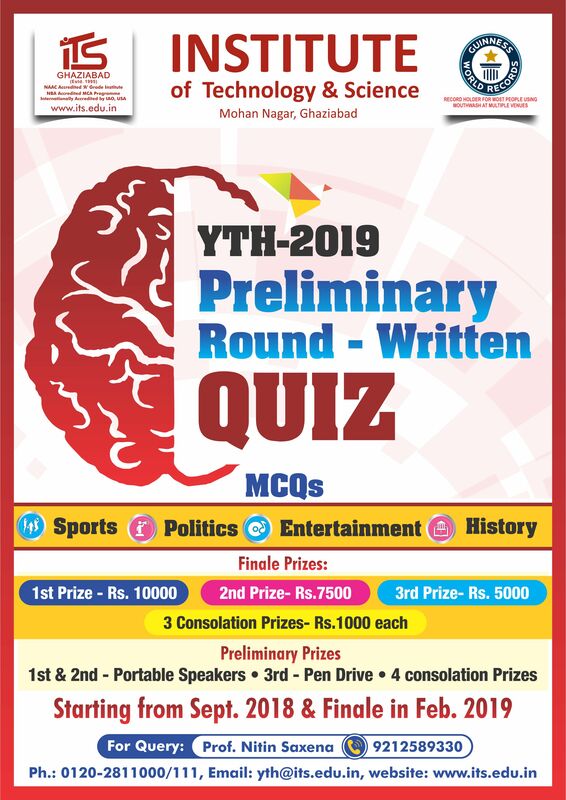 Binary Club (IT & Operations) organized an event “THE TECHELLIGIENCE- QUIZ” for PGDM Students on 26th December, 2018. 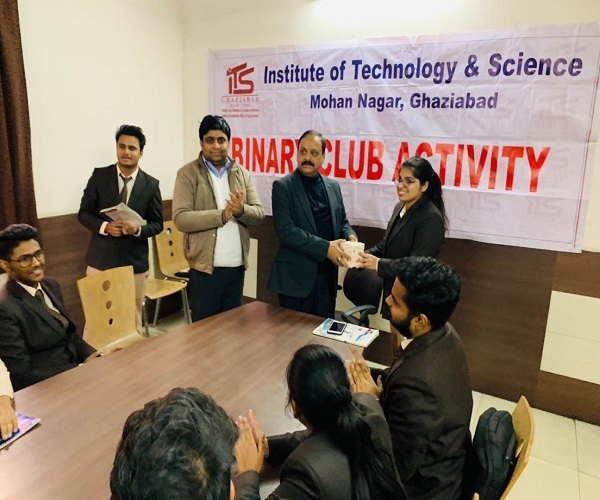 On 26th December, 2018 The Binary Club (PGDM) of I.T.S Ghaziabad, organized an event “The Techelligience- Quiz” for PGDM Students. 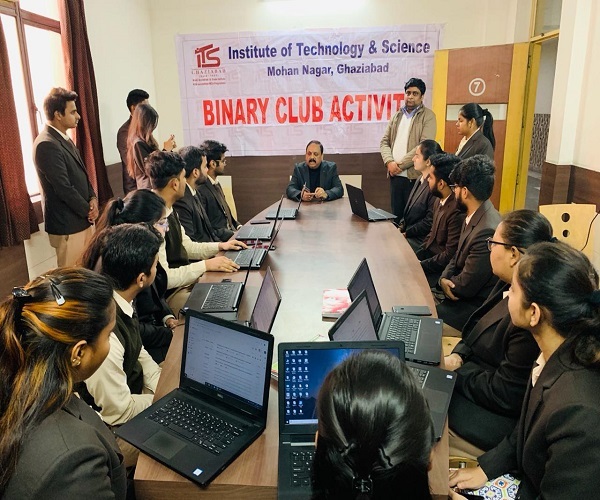 The activity was inaugurated by Honorable Director Management Dr. Ajay Kumar with his motivational address to the participants and conducted by coordinator of binary club Prof. Alok Singh. The purpose of the activity was to evaluate and enhance the general knowledge with analytic skills of students with respect to the parameters of remembrance and accuracy. There were 3 online activity rounds in past three weeks conducted in this activity in which 87 students were participated, out of which 15 students were further promoted to second and the final round. It was a tough competition among all. Winners of the event were Mr. Prince Tripathi, Ms. Ankita Dwivedi and Ms. Jeetika for First, Second and Third positions respectively. Event concluded with the Prize Distribution Ceremony by Director Management Dr. Ajay Kumar and Prof. Alok Singh. The winners were felicitated with certificates and amazing prizes. Dr. Ajay Kumar motivated the students by emphasizing upon the importance of quiz and such type of competition in our lives to lead and attain the success. The event was a great success, with students enjoyed a lot along with learning. 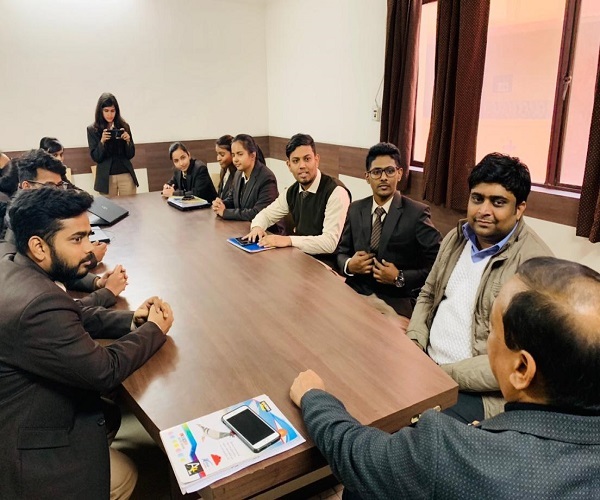 Department of Management at I.T.S Ghaziabad organized a wonderful Faculty Interaction with world renowned Marketing expert and researcher Prof. Atul Parvatiyar, Director - Center for Sales and CRM, Rawls College of Business, Texas Tech University, USA on "Sales & Customer Relationship Management" on 24th December, 2018. Dr. Ajay Kumar, Director (Management) extended a floral welcome and introduced the guest and his contribution in the field of management education as an acclaimed academician, among the most cited researchers and prolific author. Prof. Atul was also honored with the status of Distinguished Visiting Faculty at Mohan Nagar campus by Shri Arpit Chadha, Vice Chairman, I.T.S - The Education Group. 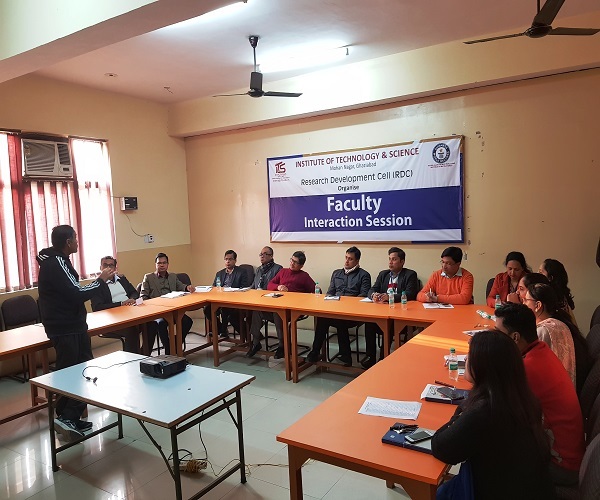 During his interaction with faculty on the subject he shared the evolution of CRM as a body of knowledge and highlighted the reasons for Customer relationship management (CRM) being able to attract the expanded attention of practitioners across industries. Customer-centric strategies, programs, tools, and technology are strategic for developing an efficient and effective CRM ecosystem. He discussed overall purpose of CRM as to improve marketing productivity and to enhance mutual value for the parties involved in the relationship. 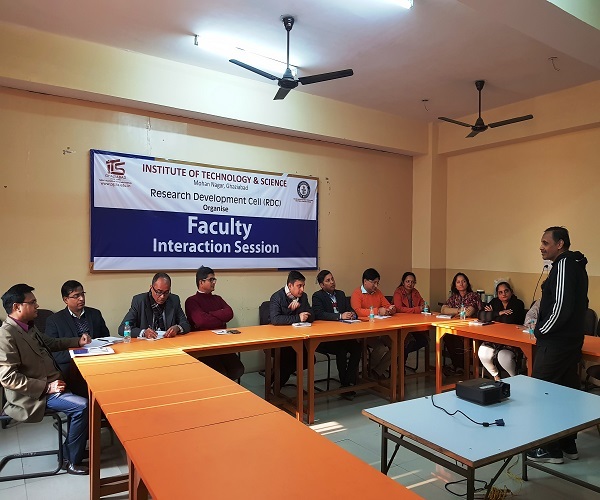 Faculty had an array of interaction befitting to the subject and exploring new dimensions for research to which Prof. Atul Parvatiyar responded with suitable answers with industry examples. 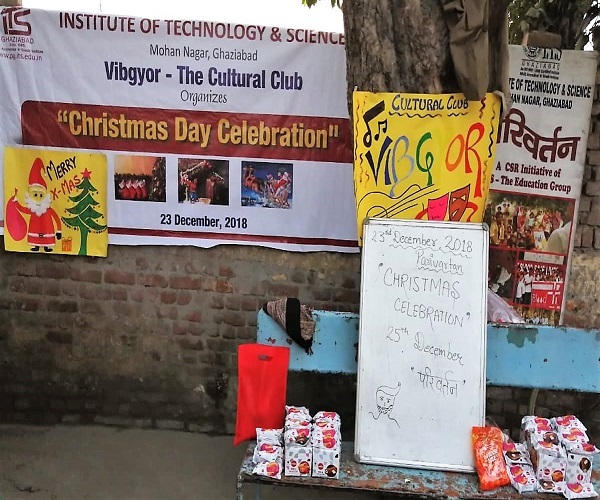 Parivartan,a CSR initative by I.T.S Mohan Nagar Ghaziabad, conducted Christmas day celebration on 23rd December 2018 which included importance of the day and various activities. 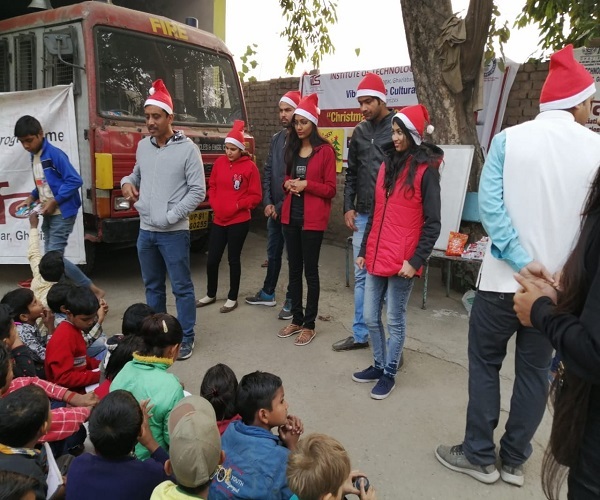 Volunteer was recalling the birth of Jesus (or Isa Masih, as he is referred to in Hindi) at Nazareth, and how he was troubled by the rulers of Rome & explain the association of Santa Claus of the day. Volunteer chimed in to ask the children how many knew of the famous Jingle Bells rhyme, inevitably leading to an animated recitation by all. Cultural Club students performed a skit based on the famous ‘The Boy Who Cried Wolf’ story line. The point of the whole exercise was to drive home the importance of being honest and truthful. As the skit drew to a close, Santa Claus himself burst into the scene (Atul playing the jolly young-at-heart man). Before distributing his gifts (color pencil and sketch pen sets), Santa followed up with more learning on good habits and nice manners. Basically it was a refresher on lessons imparted in earlier sessions. The day drew to a close with the distribution of ‘Winkies Swiss Roll’ and ‘Mango Bite Toffees’ among the children. 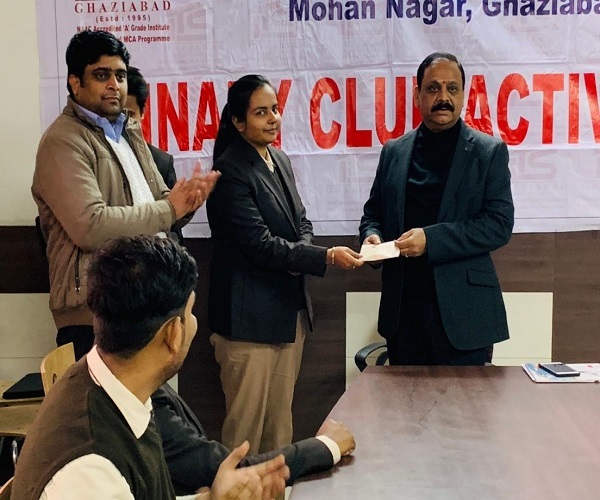 Dr. Indraneel Mandal accompanied and motivated the student volunteers, with overall planning and guidance by Prof. Lokesh Upreti as the faculty coordinator of CSR Club - Parivartan. The volunteers for the day were Hitesh Sharma, Jhalak Agarwal, Rubiya Noor, Mahima Singh, Nageshwar Mani Tiwari, Atul Aniket, Devanshi Gupta, Somitra Chatterjee, Upasana Singh, Anjali Singh, Rohit Kumar Singh, Ankita Dwivedi and Rahul Gupta. 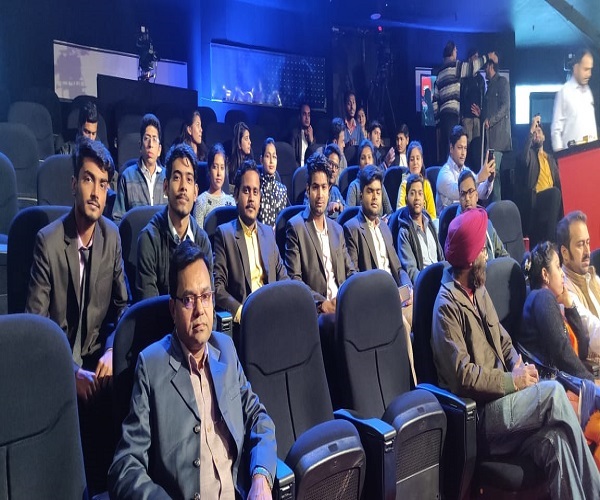 Department of Management at I.T.S Ghaziabad organized, a visit to Aajtak studio for PGDM (18-20 batch) on 21.12.18. 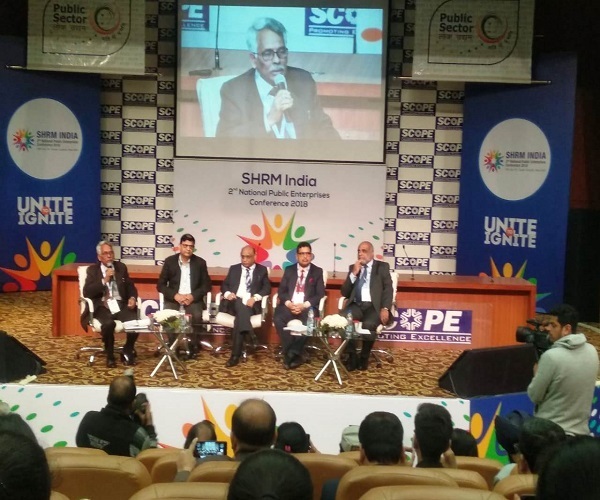 The coverage of the program spread across three sessions. Debate started on the topic of raising the name of Lord Rama for election as political parties are engaged in targeting ‘Hinduism’ for increasing their vote bank by manipulating the religious feelings of Indians. 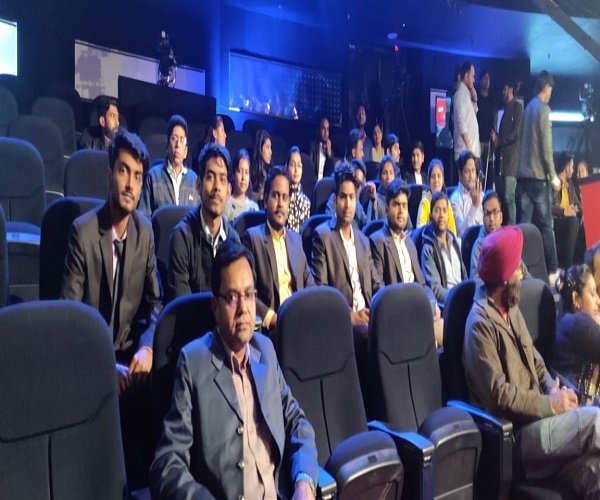 This debate eventually raised many issues related to the derogative statements given by the Spokesperson of Congress and Samajvadi Party over the origin of Lord Hanuman, Mudra yojana, Ujjwala yojana, over the toilets built under Swachh Bharat Abhiyan. These statements were countered by Spokesperson of BJP and JDU by giving clarifications on the basis of some facts and data given by them which included the reports issued by IMF. For questionnaire session audience comprised of management and journalism students along with the learned delegates of some reputed public and private institutions including our own ITS students who raised many relevant and intelligent questions. The second debate session comprised of Mr. Sudhanshu Trivedi (Spokesperson BJP) and Ms. Ragini Nayak (Spokesperson Congress). This session started with the discussion over the victory of congress in recent elections held in Madhya Pradesh, Rajasthan, Chhattisgarh, Telangana and Mizoram. Questions were raised over the acceptance of election results which was done by the EVM machine, of which Congress has been quite concerned. Ms. Nayak responded that these elections were done by the VVPAT (Voter verifiable paper audit trail) and it is more trustable than EVMs.Issues raised in debate included demonetization, make in India and GST. This session was started by raising the issue of the conditions of Indian farmers. As per the declaration by Mr. Rahul Gandhi, the Chief Minister of Madhya Pradesh, Mr. Kamal Nath has waived off farm loans up to Rs 2 Lakh.Questions were raised by audience over the waiving off farm loans which may result in extra load on the Indian revenue department. This debate eventually headed towards the rising suicide cases of farmers at the time of Congress government’s tenure. Session was very informative and interactive. The visit was coordinated by Dr. Rajeev Johari. 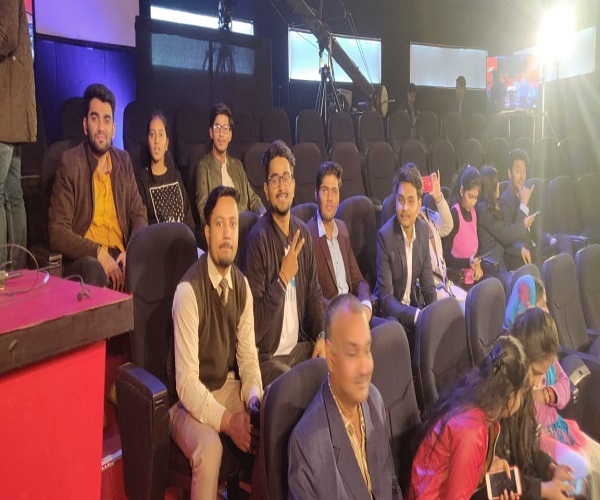 THE OPPO MAKERS (HR CLUB), of ITS, Mohan Nagar had organized an event for PGDM 1st year students named “ROLL CAMERA ACTION” on 19thDecember, 2018. The event was based on situational role play. Four teams having four members in each team participated in that event. 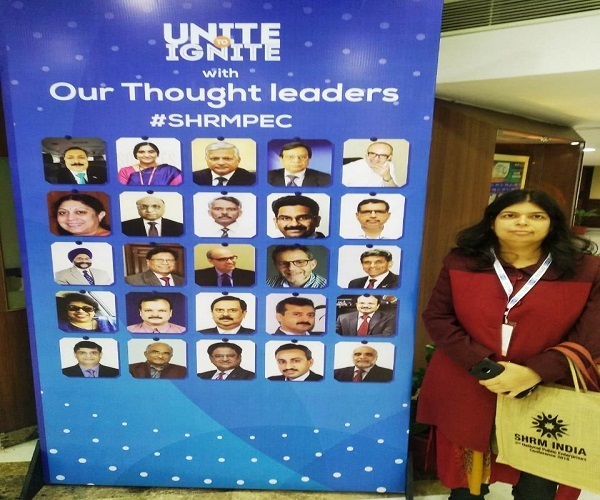 The event was judged by Prof. Yachana Malhotra, Prof. Ritu Saxena, Prof. Manoj kumar Jha. Situations given to teams were all corporate based. 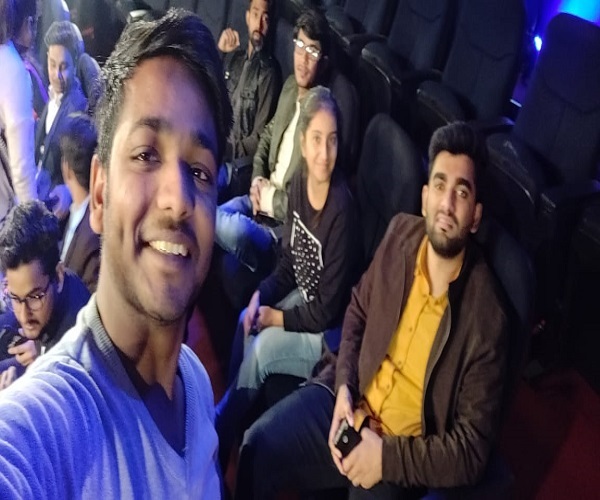 The main objective of the event was to give students an exposure about several practical situations in several organizations and how tohandle those situations without getting panicked.The winning team were ROYAL CHALLENGERS, the Team Members were Siddhartha Dhar Roy, Aurjeet Singh, UpamGohain and Vaibhav. Runner Ups The Dramatist were Ankita Dwivedi, Devanshi Gupta, Khushboo Sethi And Ankit Saini. The event reached another height of success when Director Management sir Dr. Ajay Kumar handed over the prizes to the winning teams.